The latest winning entry in our 'Your Shot' photo competition, captured by IT reader Andrew Reid. The latest winning entry in our ‘Your Shot’ photo competition, captured by IT reader Andrew Reid. 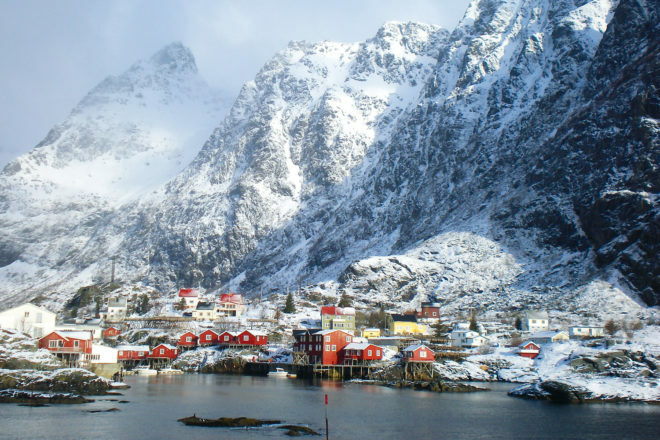 “This sleepy fishing village, simply named Å, is the southernmost settlement in the Lofoten archipelago in Arctic Norway. Do you have a winning photo? For this incredible photo, IT reader Andrew Reid has won a new 15-30mm F/2.8 Di VC USD lens valued at $1599. This lens is the apex of Tamron telephoto zooms in a compact package. Vibration Compensation image stabilisation boosts the low-light shooting capacity of this fast-aperture lens, while Tamron’s proprietary Ultrasonic Silent Drive motor delivers speedy, quiet, accurate autofocus that captures those decisive moments.